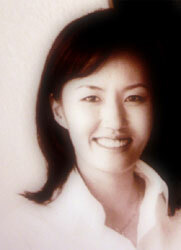 Jenny Jin was born in South Korea and raised and educated in Canada and in the USA. This partially Asian, partially western cultural background allowed her to acquire a variety of creative ideas which are reflected in her works as a graphical designer. She graduated from California State University of Long Beach, the finest school of Art in the USA. While attending university, she gained experience through working out many different professional design projects. After her graduation, she started to work as head designer and manager for several companies. She specializes in making logos, letter heads, business cards, brochures and consumer product related items such as labels, catalogs, company folders and packaging designs. Jenny Jin had a joyful time studying design at school and still enjoys her work after more than 10 years of being active as a professional graphical designer.